In Japan, there's a population of older farmers and residents in the countryside who work far from the bustling cities. With the rural population aging, financial institutions have been closing down and leaving the remaining residents without access to essential banking services. 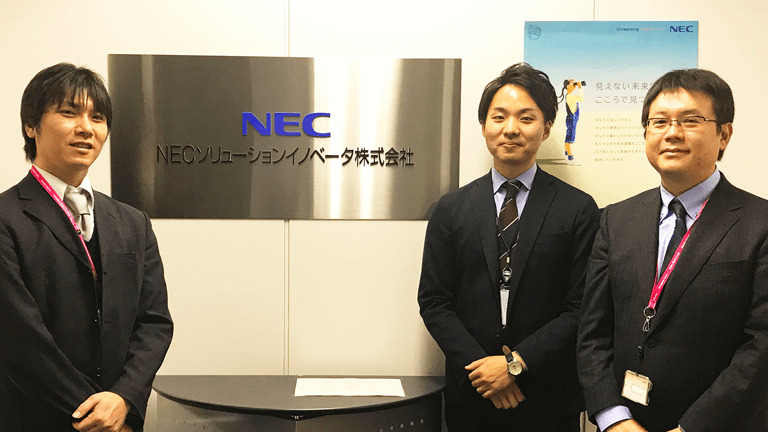 NEC SI recognized that its expertise in technological innovation could present the solution to the farmers' problem, and they set out to design a customer-friendly system to bring banking back to some of Japan's residents. With their strength as system integration specialists, NEC SI set forth to identify what the rural community needed. They saw that the system-based PDAs that were being used by the financial institutions were difficult for customers and for bankers, as it was harder to complete necessary transactions. Realizing UX was a major factor in customer accessibility, began looking for a solution that used the WPF platform but also addressed UX concerns. Infragistics ended up being their top choice for the WPF platform, due to the fact that Infragistics' platform specialists offered onsite training, covered fundamentals of WPF, and presented models of layout ideas. The Infragistics' WPF editor controls and reporting functions were the crux of NEC SI's success in developing for the tablets. The broad array of controls, including high-performance charts and grids, a scheduling UI, and data entry, proved to be the items that NEC SI needed to get their application idea off the ground. Infragistics provided extensive support and sample code, eventually helping NEC SI to create a strong solution for the banks and their customers. The new screen for the PDAs was larger, allowing for larger buttons equipped with a variety of functions. Customers could now complete banking services at home, making easy transactions and signing important documents. What we appreciate the most is the robust training and support from Infragistics with regard to any programming issues in the WPF platform, which we did not have experience. Thanks to this we were able to complete our project within budget and time frame. With customers now having access to their finances, banks were able to fully provide services to their longtime clients, highlighting their dedication to customer relations and service. NEC SI is looking forward to the functionalities that they can further offer clients, like facial recognition features to eliminate passwords. After their success, they're looking to speed up the 13-month process that goes from planning to end-user. Takuya Manabe, the NEC SI project manager, noted, "We will work to speed up the development process and churn out these tablets in the tens of thousands in a few years' time. We believe we can do this by using Ultimate UI to its maximum potential."